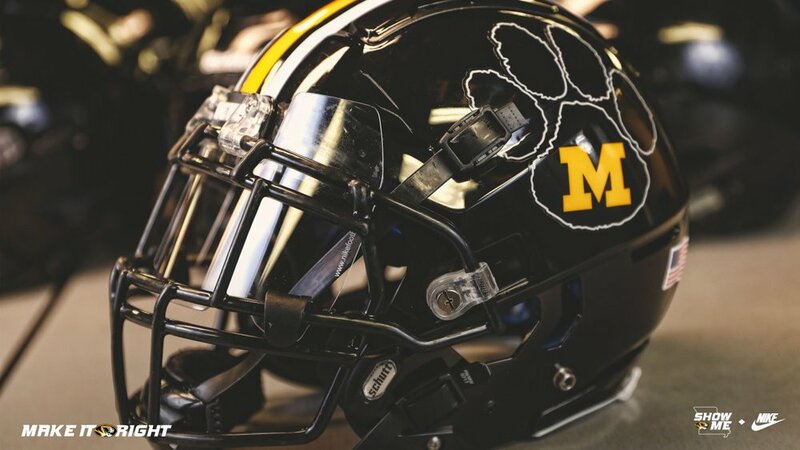 Missouri Football has introduced their Spring Game helmets for this season that will turn back the clocks a little. The Spring Game decals will have the retro Missouri paw logo with the M found within the paw on each side of the helmet. The center stripe will be the thick white and yellow traditional stripe that has been seen in the past for Mizzou. The stripe will remain for the Tigers as they head out of the Spring game and into next season, going away from the stripe we saw last season.